Could the Eagles and Dolphins make trade-deadline deals in consecutive years? According to Armando Salguero of the Miami Herald, the Philadelphia Eagles have been in contact with the Miami Dolphins about wide receiver DeVante Parker. Yesterday I reported the Dolphins have spoken to multiple NFL teams about a trading DeVante Parker. I'm now told one of those teams is the Philadelphia Eagles. Parker is a 6-foot-3 receiver with 4.45 speed who was a first-round pick (14th overall) of the Dolphins in the 2015 NFL Draft. 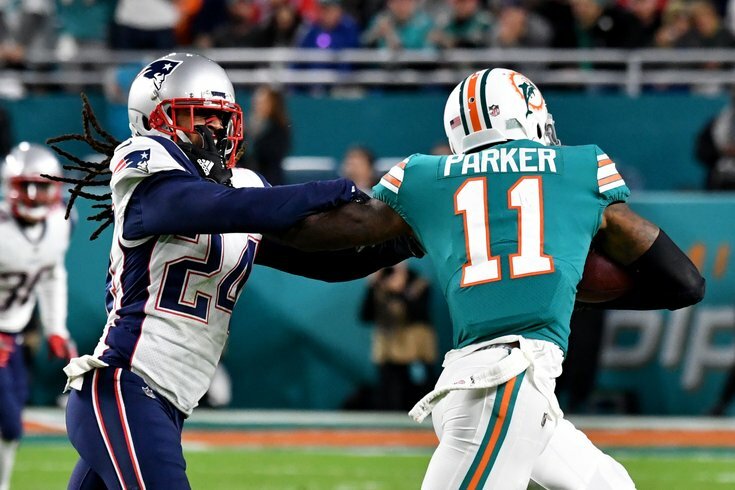 After a disappointing start to his career, Parker has fallen out of favor with the Dolphins this year, as he has only appeared in two games, and has just two catches for 40 yards. Parker's skill set would fit in nicely with the Eagles, who don't presently have a player they trust who can take the top off a defense. The mere threat of the deep ball would open up Zach Ertz, Alshon Jeffery, and Nelson Agholor to work the intermediate areas of the field. It's worth noting that the Eagles struck a trade-deadline deal with the Dolphins last season for Jay Ajayi, partly due to the diligence they did in scouting him during joint practices with Miami earlier that year in training camp. Parker had a good week of practice that week, and made a great play on a deep ball against the Eagles in their preseason matchup. According to a longer version of Salguero's report, the Dolphins are saying it will take a third-round pick. The Dolphins have told teams that it would take a third-round pick to trade him, NFL Network’s Tom Pelissero reported Saturday. If the Dolphins hold steady with demands for a third-round pick (or even a fourth, in my view), they'll just be stuck with him, as he is clearly not part of their plans, and will count for $9,387,000 against the cap next season on a fifth year option.